Gumpert Sportwagenmanufaktur GmbH is a German, Altenburg-based company manufacturing supercars. The first model produced was the Gumpert Apollo, followed by the Apollo Sport in 2007. Gumpert also offer the Apollo Race. 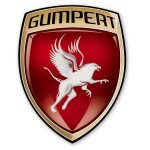 The founder and owner of Gumpert is Roland Gumpert, former Director of Audi Sport. Under his management, Audi won a total of 25 World Rally Championship races and 4 World Rally Championship titles.